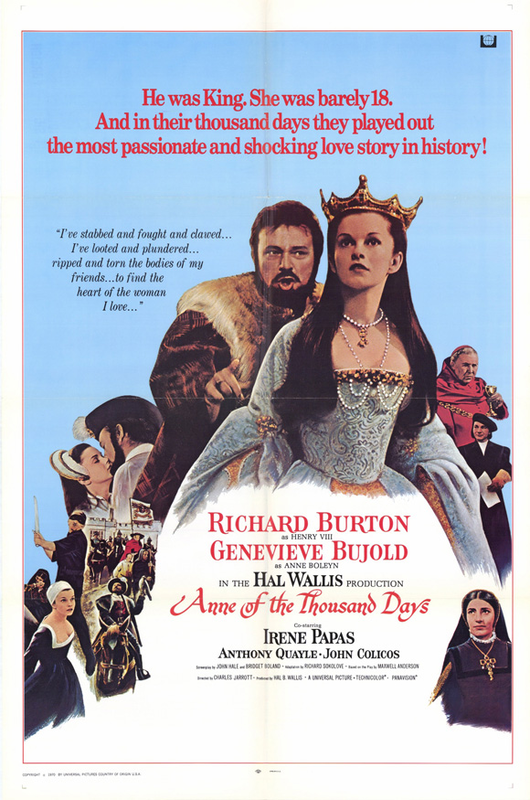 This entry was posted in 60's Movies, Historical Drama, Movies Based on Actual Events, Movies Based on Stageplays and tagged anne boleyn, Charles Jarrott, Entertainment, Genevieve Bujold, king henry viii, Movies, Review, Richard Burton, sexual liaisons. Bookmark the permalink. Great post, I love a good historical drama so I’ll check this out. The film does indeed seem to last for a thousand days!